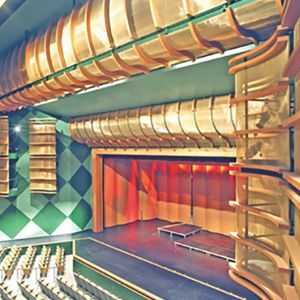 From museums to stadiums to performing arts centers, McNICHOLS® Hole Products bring strength, style, and functionality to a variety of venues. 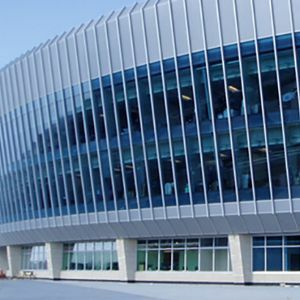 Our Case Studies describe how our products helped planners address unique challenges — concealing equipment, conserving energy, or even modernizing a dated facility. 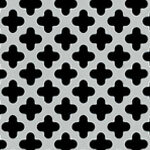 The dedicated team at McNICHOLS is happy to discuss your project in detail and suggest the right Hole Products for you! 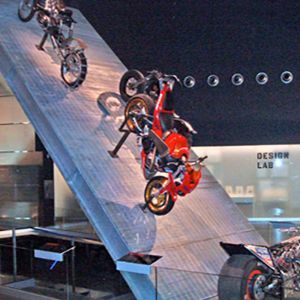 The Harley-Davidson Museum pays homage to Milwaukee's industrial heritage with McNICHOLS® Bar Grating, Wire Mesh, and Perforated Metal. 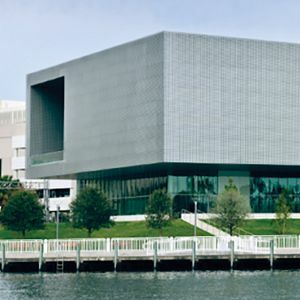 Two layers of McNICHOLS® Perforated Metal clad the Tampa Museum of Art, an architectural landmark along the Hillsborough River in downtown Tampa. The Kansas City Royals updated their 1970s-era home stadium with breathtaking McNICHOLS® Perforated Metal and a glass facade. 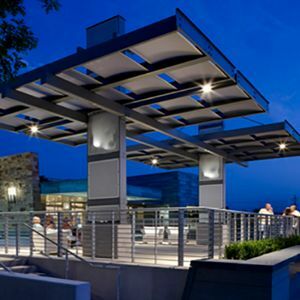 McNICHOLS® Perforated Metal panels enable energy efficiency and a sophisticated design at a recreational facility in Grand Prairie, Texas. 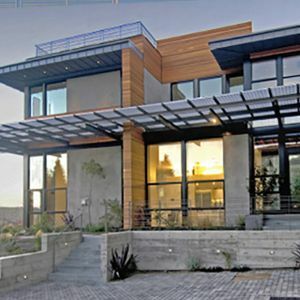 McNICHOLS® Bar Grating forms a striking, wing-like sunshade at this environmentally-friendly abode that overlooks San Francisco Bay. At a Seattle high school auditorium, McNICHOLS® Wire Mesh conceals stage equipment in scroll-like shapes that give a nod to circa-1922 architecture. McNICHOLS® Bar Grating forms a striking, wing-like sunshade at an environmentally-friendly abode overlooking San Francisco Bay.